Mrs. Yollis' Classroom Blog: Nonstop Number Sense! Mrs. Yollis' new class has been exploring number sense! 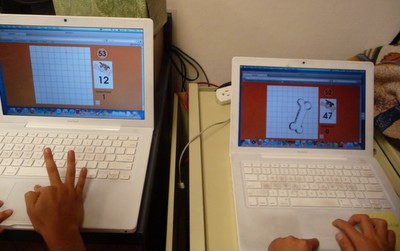 They have learned about digits, even numbers, odd numbers, and the three forms of writing a number. The symbols 0, 1, 2, 3, 4, 5, 6, 7, 8, and 9 are digits. The even digits are 0, 2, 4, 6, and 8. The odd digits are 1, 3, 5, 7, and 9. 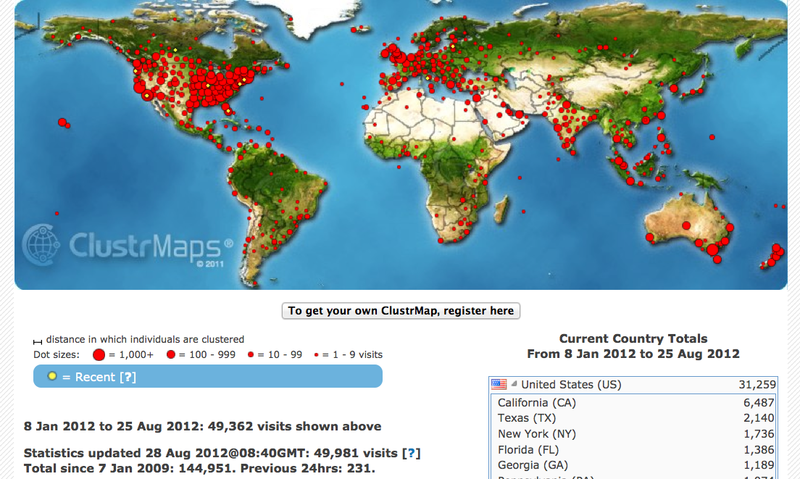 We used our ClustrMap gadget to help us explore the number of visitors we've had in all since 2009. Here is the number 144,951 in standard form, expanded form, and word form! 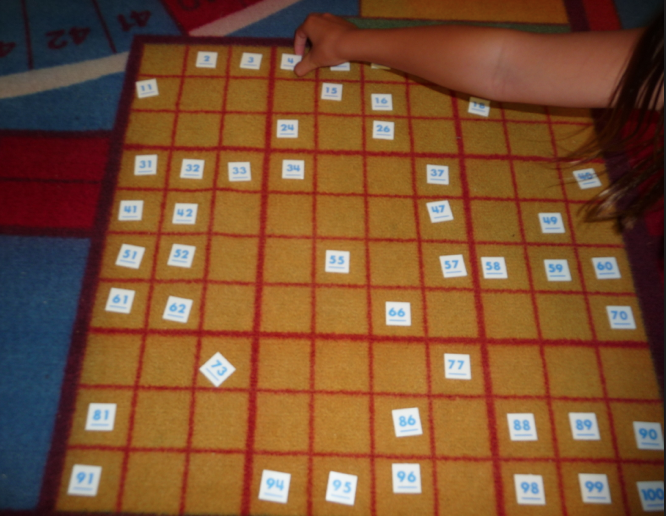 We have reviewed skills with the hundred chart and odd and even digits by playing some games! 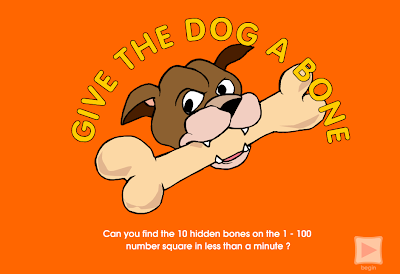 Here are two mathematicians competing to see who can get the most digital dog bones! 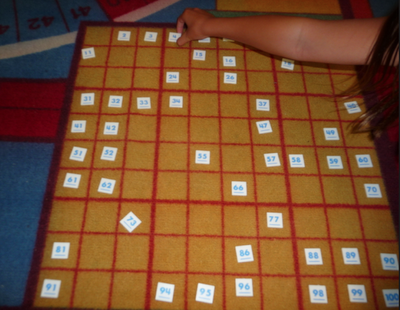 Some students played manual Dog Bone on the carpet! Very clever! Manual is a fancy adjective that means done with your hands. Other students practiced their odds and evens by playing Ghost Blasters! 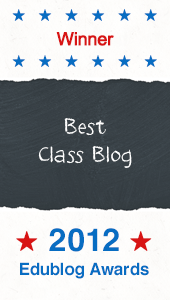 Find Ghost Blaster Even and Ghost Blaster Odd on the class website. 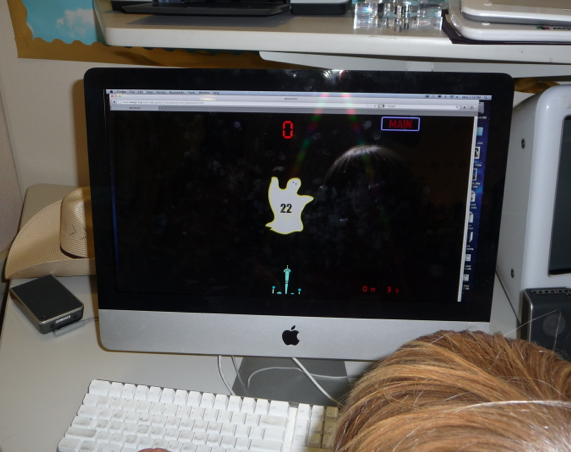 Here is a link to the math games section. Which form do you like best? Standard? Expanded? Word? Find a number at your house and write it in the three forms. I have enjoyed exploring numbers with you! My favorite way of expressing a number is expanded form. I like thinking about the value of each place. What form do you like and why? Here is a big number I got from the odometer on my car. An odometer keeps track of all the miles the car has traveled. My odometer reads: 59,721 miles. Word: fifty-nine thousand, seven hundred twenty-one. I wonder if my car has more miles than your car? Our odometer reads 55,884. Our car is six years old. How old is your car? My favorite way to write numbers is standard form. Word: fifty-five thousand, eight hundred eighty-four. My favorite values are expanded and word form because one is the easiest and one is the hardest to write. There are 33,591 miles on my mom's car, my dad's car has 72,736 miles. He has more miles than my mom because he drives his car a lot for work. My mom has a big car since we have 4 kids in our family and need lots of room. My dad has a small car because he's the only one that has to fit in it every day. What year was your car made? Both our cars are 2010. The odometer on my mom's car reads 18,936 miles. You have driven more miles than my mom has. Is your car older than my mom's car? Word: eighteen thousand, nine hundred thirty six. My favorite form is the expanded form because I like writing pluses and it's more like math than just writing the words. Is your car a big car or a small car? Fabulous comment! You really know your numbers and how to get a conversation going! Well done, Bryce! You asked about the age of my car. My car is a 2007. About how old is my car? I have a fairly large car. In fact, I would classify it as a truck. We use it when we go camping and to put all our gear in the back. Is your car big or small? 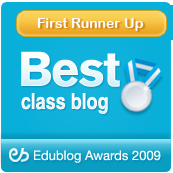 In class today we looked at the blog and we read the comments. We talked about the comments and the numbers that people published. Now I know that your car is bigger than mine. Mine is a Honda minivan. Your car is 5 years old. Our car is a 2011. That makes it 1 year old. It was fun learning about those numbers. It was a fun day. Rules and it has 216 pages. What is your favorite book? I like the word form the best because it helps me spell better. Terrific comment! Thinking of a large number like the number of pages in a novel is a very clever idea! Super job, Katelyn! I am reading a book right now, and it has 302 pages. Yes, when you write a number in word form it does help your spelling. Here are some hard ones. How do you spell 90, 12, and and 40? Good luck! I think we're going to have a good day today! 11 years old and the odometer shows 104,234 miles. It has more miles than both of your cars. What a great observation! Your total miles is more than Bryce's car and my car put together! Now I will compare the total to your car. My mom's odometer reads 79,702. Does that sound like alot to you? It does to me. That is almost exactly 20,000 more miles than you have on your car. My mom's car is four years old. It is a 2008. Your car is 5 years old, so, her car is younger than yours. My mom must drive more than you! My mom has a big car to take us kids and our friends, along with all our things, everywhere we need to go. Wow! Yes, 79,702 is quite a few miles! There are a lot of big numbers on the odometers in our class! Here they are in order from least to greatest. You asked where we like to camp. We've taken the car to the Grand Canyon, Bryce Canyon, Zion Canyon, and Yosemite National Park. We also like to camp in the eastern Sierra near Mammoth Lakes. My cousins from Vancouver are coming to visit this weekend for my uncle's wedding. Vancouver is 1,078 miles away. I went to visit them last year for their Bar and Bat Mitzvah. Do you have any family that lives in another country? I like standard form the best because it's just the most fun to do! We've had people share odometer numbers, number of pages in a book, and now you have introduced a new category, distance! How did you figure out the distance? 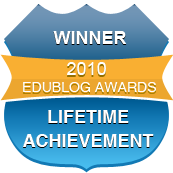 We have a blogging class that lives in Canada. Would you like to know about them? 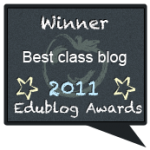 I can share their blog with you tomorrow! You asked if I have any family in another country. No, all of my relatives live here in the United States. They live in California and Montana. It sounds like you have a fun weekend planned with your cousins. Are they flying or driving here from Vancouver? I hope flying. I understand it takes just about 2 hours to fly from Vancouver to Los Angeles, while it takes about 20 hours to drive. Planes travel so fast and their route is more direct. If the distance to Vancouver is 1,078 miles away and it takes an airplane about 2 hours to travel that. Can you figure out about how fast the plane travels? We had an extraordinary number today when we checked our clustrmap visitor count: 22,222 . It says twenty-two thousand, two hundred and twenty-two. In expanded form it is 20,000 + 200 + 20 + 2. We talked about the next number that will have just one repeated digit. Can you think what that number will be? Thank you for your comment! That is an extraordinary number! How exciting! In your excitement, we noticed a small error in the expanded form. Don't worry about it, Mrs. Yollis made an error too! She had the greater than and less than signs backwards. :-( We know that everyone makes errors. 33,333 and then 44,444 and then 55,555 and then 66,666 and then 77,777 and then 88,888 and finally 99,999. What will be the next repeated number? My mom's car has drove 200,889 miles. It was made in 1997. So far it has drove the most miles. On my dad's car he may have drove more miles then my mom's car but I don't know. Wow! You already figured out the HTML code for the heart! Way to go, Heather! I think your mother's car will probably have the most miles in the class. Having an odometer that reads 200,889 is quite remarkable! My first car was a Mitsubishi Montero. I had it for nearly a decade, and it got up to 187,000 miles. That was high, but your number is higher! I wonder if a car can go on forever? My mom's car is a golden Nissan Pathfinder. My dad's is a big dark green truck from Ford. When I grow up and if I have enough money I will want a red Beetle. there are 9645 channels on my T.V. My favorite way of writing numbers is expanded form. I would like a challenge if your up to it?!?! I ♥ your new idea about the channels. Is that true? Do you really have 9,645 channels? If so, how do you choose? So, you'd like a challenge? I am always up for a challenge. The tallest mountain in North America is Denali. It rises 20,327 feet above sea level. The tallest mountain in the world is Mount Everest in Asia. Its elevation is 29,029 feet above sea level. We only subscribe to about 200 of those 9,645 channels. Most of them are blocked by my parents. We don't get to watch TV on school days. On my Plants vs. Zombies computer game, I reached a great score of 4,956 suns. That was my best score in my whole game. I was so happy to get 4,000 + 900 + 50 + 6. If my mom wrote me a check for this amount, it would look this: four thousand, nine hundred, fifty, six. That would be so cool! I would buy an Ipad. Wow! That is some great score! I'm not much of a computer game person, but it sounds like you have quite a few wins! I put in the word AND because the number has a decimal in it. Whenever there is a decimal, insert the word AND. I will be traveling to India with my family in a few months to meet my grand parents. It will take us more than 1 day to reach India. India is 8,711 miles or 14,019 kilometers from US. Kilometers is the unit that is used in India to measure distance, like we use miles here. My favorite way of writing digits is word form. Have you traveled out of US? If yes, which country and how many miles is the distance. What a trip that is going to be! My husband traveled through India when he was younger. He was there a month, and he said he stayed in the north. Darjeeling and New Delhi were memorable places for him. Darjeeling was rural, mountainous, and beautiful. New Delhi had lots of interesting architecture and was rich in history. Where will you be staying? You asked if I have traveled to other countries. Yes, I have traveled to other countries: Mexico, Canada, Belize, Portugal, Spain, England, Ireland, the Netherlands, Belgium, and France. Which one should I research the distance? You asked me where am I going to stay. Well, I will be staying in Ahmedabad, which is on the west side of New Delhi. You also asked me the country you shall research the distance. I think you should research France. Many numbers have been expanded, worded and digitised over the years in my classes. 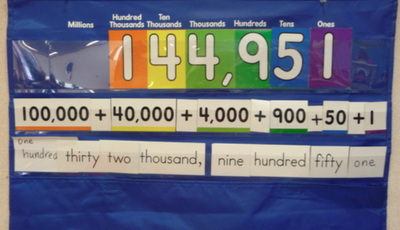 It's an important skill to know if we are to better understand numbers. 124 is just a counting number until we know it is 100+20+4. A 10,000,000,000,000,000,000,000,000,000,000,000,000,000,000,000,000,000,000,000,000,000,000,000,000,000,000,000,000,000,000,000,000,000 thanks for your comment! It is so true that standard form is the one we see most often. I use to write in standard and then word form when I wrote checks. I now charge most things and rarely write checks. I had not heard that the Google people had misspelled googol. What a surprise! We look forward to learning from you this year! My dad's Chevy Trailblazer has 61,000 miles. My mom's Ford Fusion has 35,249. Wow! A combined total of 96,249! That is nearly 100,000 miles! Did you round the number of your dad's car to the nearest thousand? You asked me some questions a few days ago. I found out the distance to Vancouver on Google. And I would definitely like to know about the blogging class in Canada. Thank you for spotting the error we made in our expanded form number! We realised that we missed out 2000 from our number. 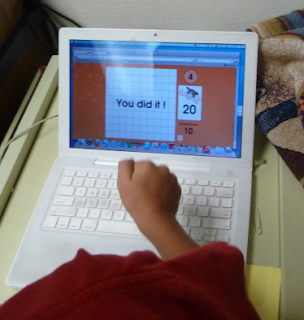 Ivy was the first B4 student to figure out the missing number which should read 20,000 + 2,000 + 200 +20 + 2. The comments have been great! I want to introduce a new thing. My family's electric meter for last month read 10,411. The month before it read 9,171. That means we used 10,411 - 9,171 of electricity last month. Can anyone tell me how much electricity we used in that month in standard, expanded and word form? I can tell you that it is alot. The hot weather and our choices for using our air conditioner had a lot to do with it. We are looking for ways to save energy. Tonight we will keep our windows open for some cool air and leave the air conditioner alone. Any other suggestions for saving energy? How much electicity did you use last month? I love your introduction of a new big number category! Terrific! Do you know what the number measures? Is it kilowatt hours (kwh)? Yes, using air conditioning uses a lot of electricity. We keep our windows open at night and it is lovely. I'll be curious to know your next meter reading total is! I love how you explained number sense using both words and photos. I think using both forms helps people who understand by reading as well as those like me, who need to see things visually. My number of the day is 24,912. That's the number of students in grades K-12 who will go to their first day of school tomorrow in my school district. Words: Twenty-four thousand, nine-hundred and twelve. 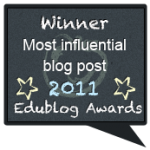 I look forward to a fun year blogging with you! Thanks so much for a fabulous comment! Wow! You have a large number of students who will be starting school. You've got me thinking...I wonder what our district total is? I look forward to a fun year with you! Let's plan a Skype call together!